Settled Status is a new immigration status for EU citizens in the UK. The same rules apply for citizens of Iceland, Lichtenstein, Norway and Switzerland. Settled Status is meant to secure various rights of EU citizens in the UK, including right to reside, right to work, to access public services, and others. 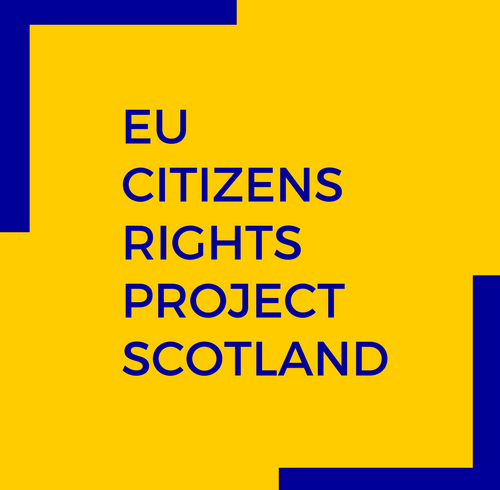 You may read more about via our Citizens’ Rights tab. You can download our PDF guide on applying for Settled Status by clicking Guide to Settled Status. Should EU citizens apply now? The EU Settlement Scheme for EU citizens who wish to apply is already open. However, until the UK leaves the EU, the rights of the EU citizens are still protected under the ‘freedom of movement,’ so they do not have to apply. Those granted a Settled Status receive and “Indefinite Leave to Remain” in the UK and will be able to keep it under any Brexit scenario. Will Settled Status be implemented in case of no deal? The proposals in the paper are similar to those set out in this guide, but not identical. Crucially, some dates and provisions for family members may change. For more details on EU citizens’ rights in a ‘No Deal’ scenario, please consult the paper. Even in case of ‘No Deal’, EU citizens who obtain Settled Status will be able to keep it.
! The deadline for Settled Status applications is currently expected to be the end of June 2021 – if there is a deal.
! In case of No Deal, the deadline is set to be the end of December 2020. What to do if an application is rejected? After you apply for the “Settled Status,” the decision on whether you have been granted “Settled” or “Pre-settled Status” or if your application has been rejected, will come to you e-mail inbox. If you are not happy with the decision, you’ll be told in your letter if you can apply for the decision on your application under the EU Settlement Scheme to be reviewed. This is called an administrative review. If you are unhappy with the decision and the letter tells you you cannot ask for the review, you either need to accept the decision or seek other legal means to challenge the decision; you may consider consulting a legal expert on this. You can apply for an administrative review from inside the UK. apply to move from pre-settled status to settled status from April 2019To apply, you must make your application for administrative review within 28 days of the date on your decision email. What about EU citizens who arrive in the UK later?